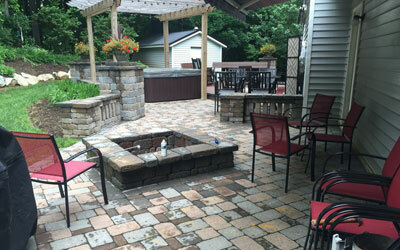 The definition of “hardscape” is the nonliving or man-made fixtures of a planned outdoor area. Normally, this portion of the overall Landscape plan should be considered before the softscapes are installed. 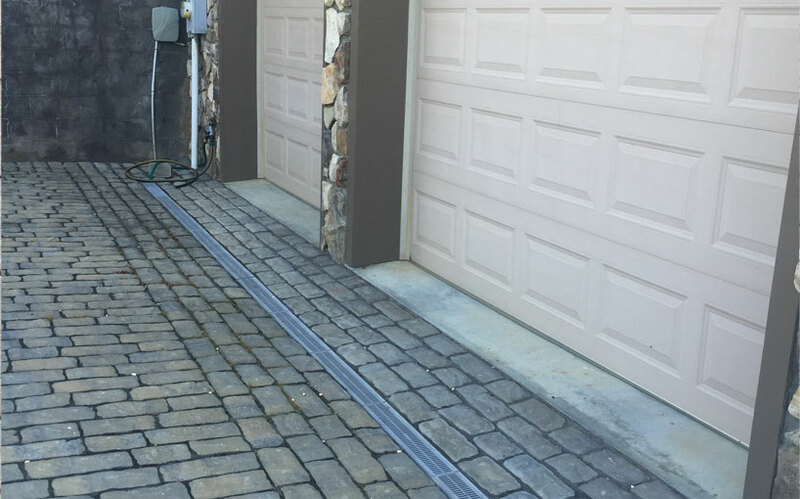 Hardscapes would include Walls, Patios, Walks, Chimneys, Fire-pits, Decking, Fencing, Drainage, Lighting, Paver Driveways, Steps, or any structure or accessory that will be constructed or placed in a landscape and does not contain a living tissue component for its existence. 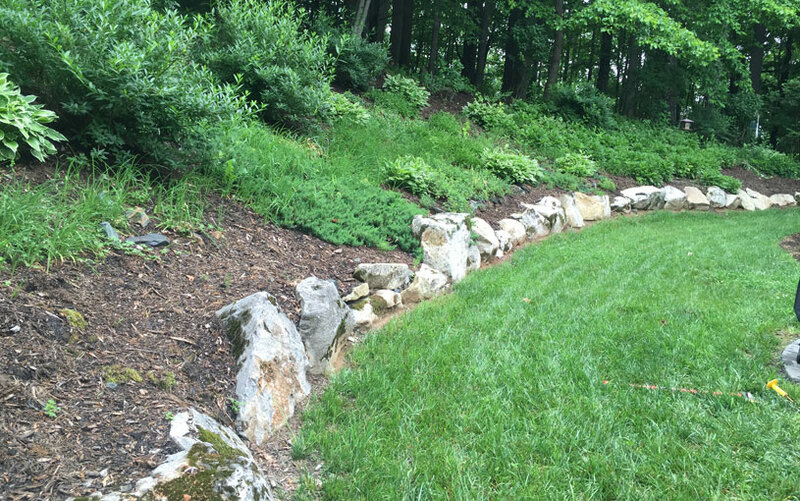 The boulders could maintain a function when retaining soil on a slope or just to create an accent to the beds. 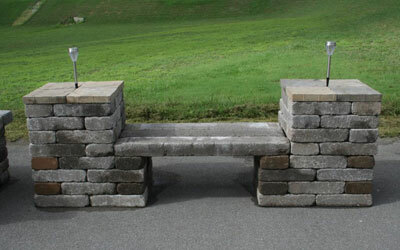 When considering your options for a fire pit or fire pit chimney, there are several pre-manufactured kits to consider. 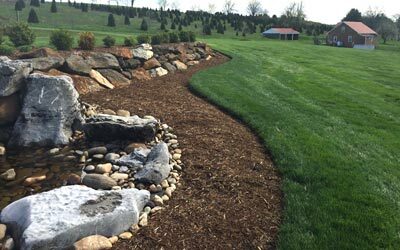 There are many different ways of the containment of gravel on a driveway or mulch in a plant bed is necessary to maintain a neat appearance. 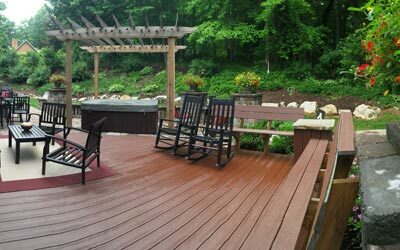 Whether it be composite decking or treated lumber, decking can add a nice component to your outdoor living space. Lighting is a very important, aesthetic component of the landscape that is very often overlooked. 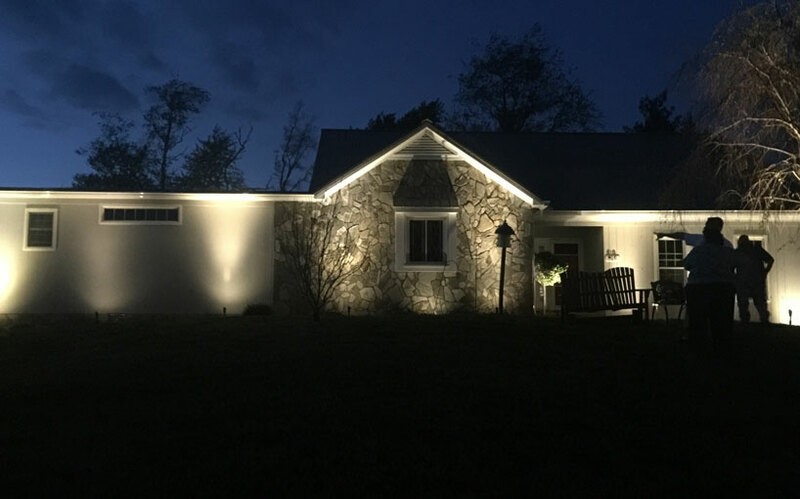 Let us light up your life, and landscape! 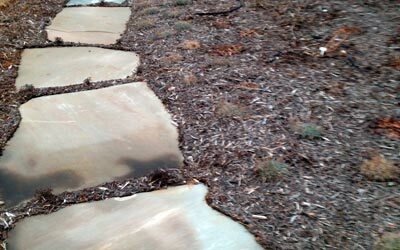 A patio is an extension of your living space outdoors and our unique environment is one of the reasons many have a nice patio or stone walk. 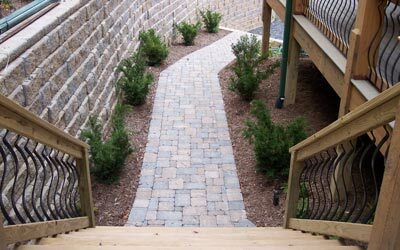 Paver driveways, patios, & walkways, are aesthetically and functionally the longest lasting product a customer can invest in. 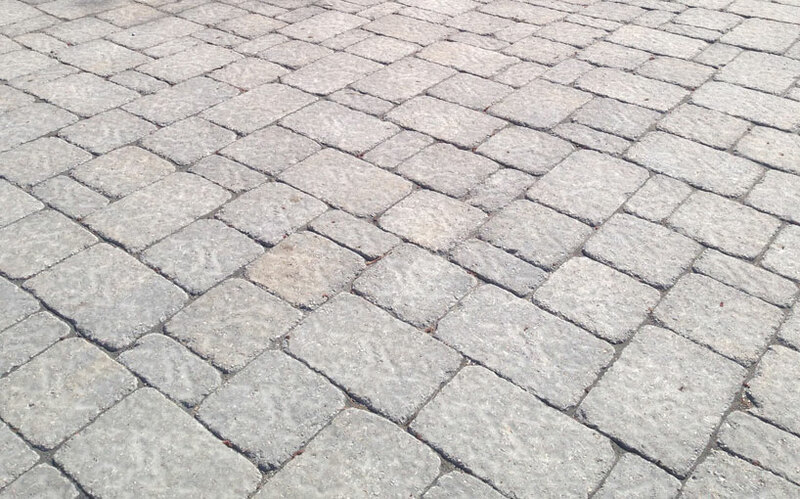 Paver driveways/patios/walkways, are aesthetically and functionally the longest lasting product a customer can invest in. 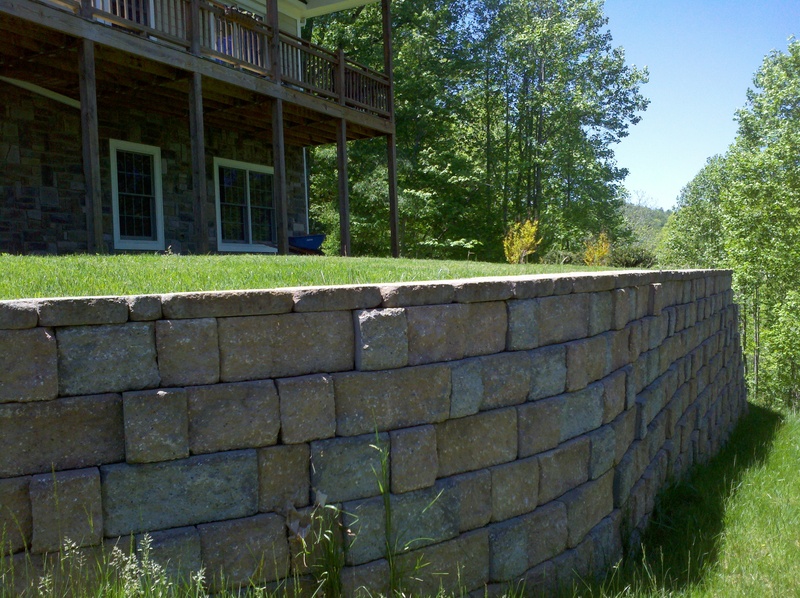 In the mountainous terrain that we live in, retaining walls can add usable space, protect our structures, and provide space for more! 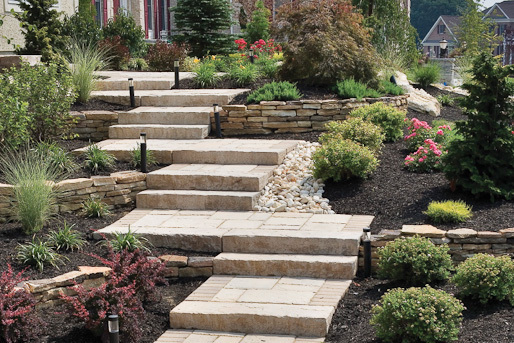 We can use steps to add an aesthetic, as well as a function-able asset to our property and outdoor living spaces. For the structure’s sake and environmental protection, water management should be the number one priority of the project.